Details and dependability: they put more wood on the ground. They keep you in the cab. It all translates into more uptime, all the time. That’s why we’ve been working for generations to deliver faster, stronger, longer-lasting cutting systems for the most demanding timber harvesters in the world. 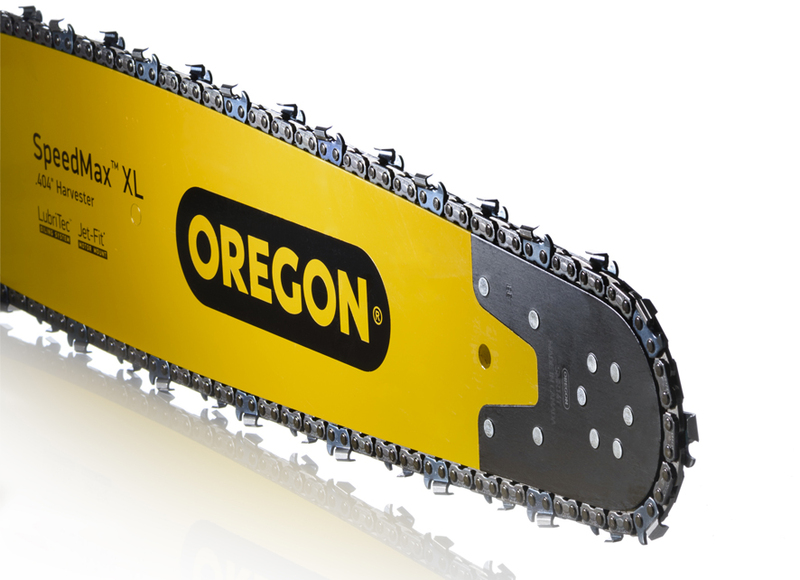 Oregon is the only manufacturer to design a complete chain, bar and sprocket cutting system for industrial harvesting equipment. Precision engineered components working together deliver unparalleled efficiency, performance, and durability. We made SpeedMax XL for those who live to get the job done right — every cut, every day. Guide bar lubrication channel keeps chain and guide bar oiled, for less friction and longer life. Chain tie-strap design keeps oil where it’s needed – on the saw chain. Precision part matching improves performance while reducing wear. Bar, sprocket, and chain can be used separately or as cutting system. The SpeedMax XL .404 bar body has been widened to improve chain retention and is stiffer and stronger to increase cutting speed and reduce costly downtime. New 19HX chain features a taller, more aggressive cutter designed to deliver faster cutting speed. New 19HX .404 chain features Oregon's thickest and largest components, designed to increase strength and durability over 18HX.